Tundra's Great Idea Series is comprised of biographies of inventors for early readers. 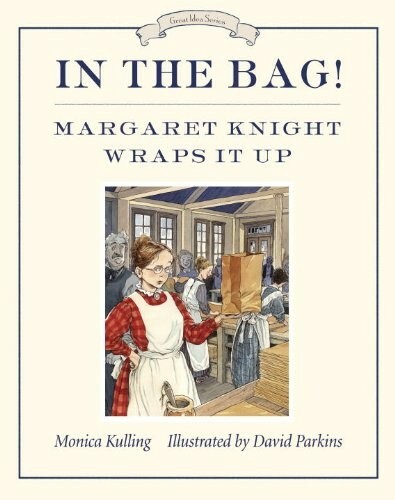 The third book in the series introduces the fascinating Margaret Knight. Known as Mattie, she was different from most American girls living in 1850. By the time she was twelve, she was working at the local cotton mill alongside her two older brothers. One day, she saw a worker get injured by a shuttle that had come loose from the giant loom, and the accident inspired her to invent a stop-motion device. It was the first of her many inventions. 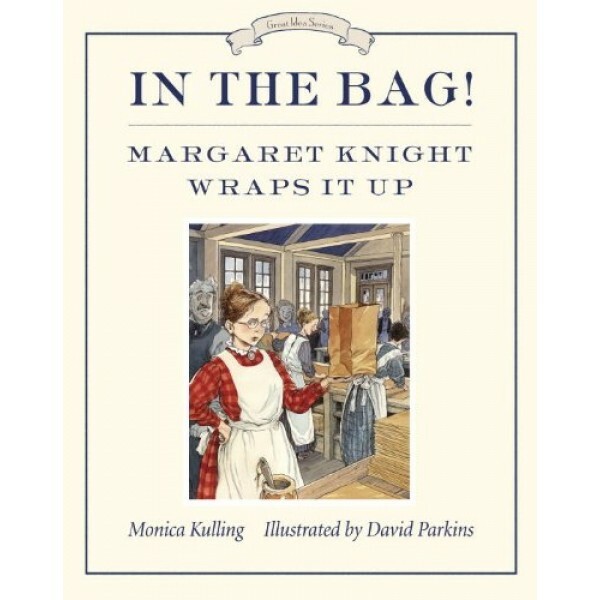 Margaret Knight devoted her life to inventing, and is best known for the clever, practical, paper bag. When she died in 1914, she had ninety inventions to her name and over twenty patents, astounding accomplishments for a woman of her day. Monica Kulling's easy-to-read text, peppered with lots of dialogue, brings an amazing, inspiring woman to life.